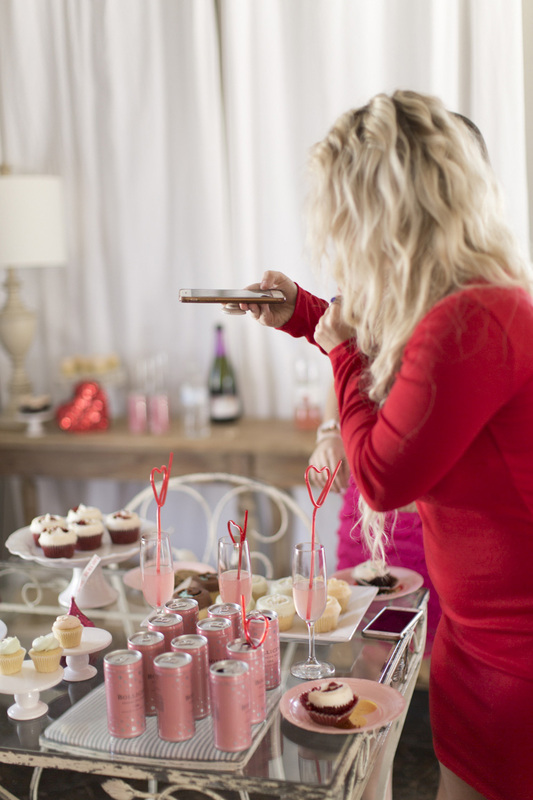 It's easy to get discouraged if you don't have a significant other on Valentine's Day, BUT there are plenty of other people and ways to celebrate this sweet holiday! ...Or you can ignore it, but that's just not as fun. Let's talk about a few ways to celebrate and focus on the great people you do have in your life instead of who you DON'T have in your life. If we can focus on making someone else smile or brightening someone else's day, we'll feel so much better than if we only focus on ourselves! It's easy. Grab your gals, some snacks, and make it a party! 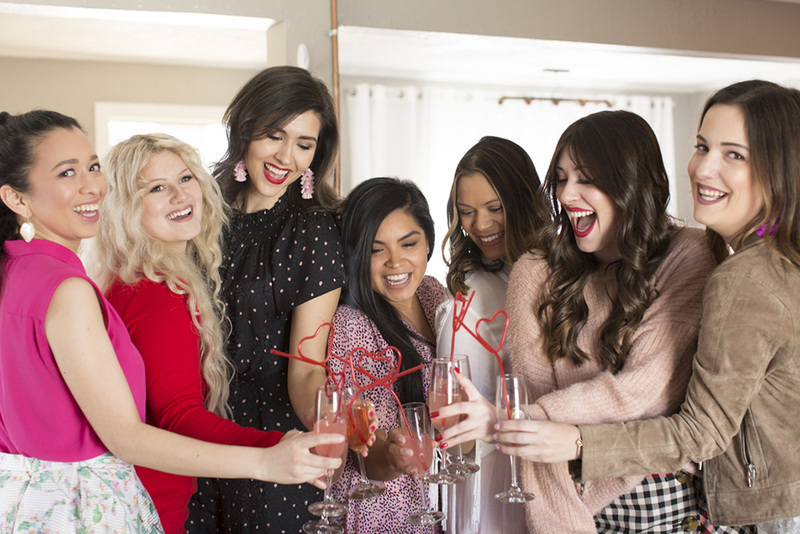 You can read my post about How to Host Galentine's for more details, but hosting a girls' get together is one of the simplest ways to celebrate the special ladies in your life. 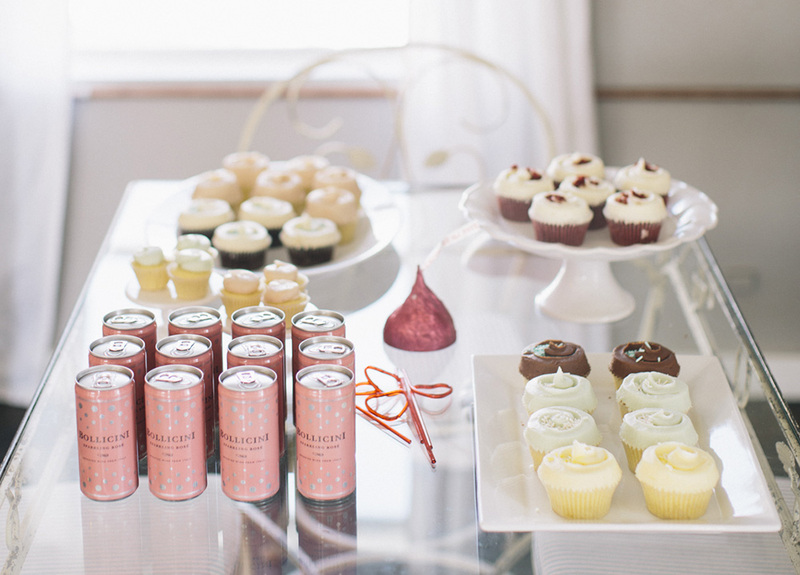 These photos are from a recent Galentine's event I hosted at the Gold Dust Vintage Rentals studio; it's actually a photography studio, but the space is so cute, that I loved using it as event space! Huge thank you to the Gold Dust girls and to our photographer, Kaylynn, for these photos! I'm brainstorming and making these up as I go, but this is a BIG ONE. 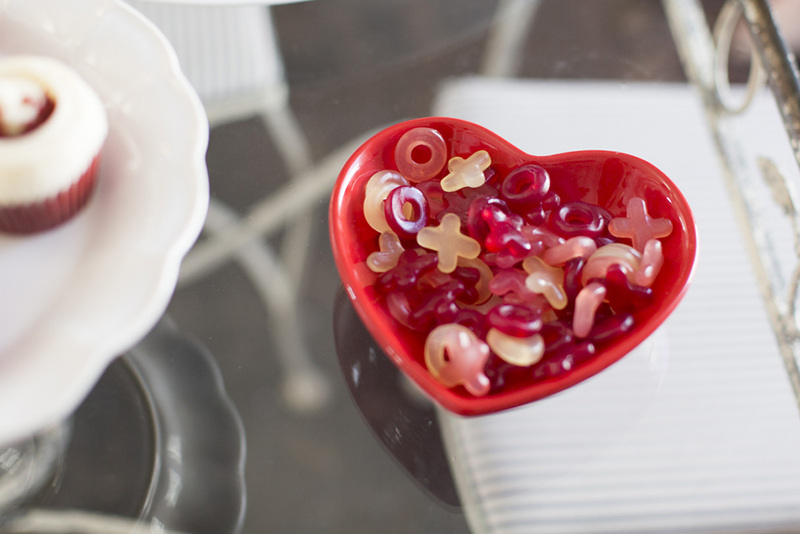 These xoxo gummies above are from Trader Joe's and are amazing! Like, give someone a snack- it's so simple. BUT it has to either be: 1. a cute snack or 2. their favorite snack. Bonus points if it's both, ie. Reeses's, but heart-shaped for Vday. ;) If you give me snacks, I love you forever. Pretty simple. Actually any kind of surprise is great, but who wouldn't want to be surprised with donuts in the morning?! Yes, this requires you to get up earlier, but come on. It's one day. Ok, plan your route. Are you turning into a donut delivery person and hitting 4 or 5 friends, or just one? I do a surprise donut delivery every year for a friend's birthday and it's awesome. And it gives us an excuse to eat donuts ;) I mean, it's not a surprise anymore, but you get the idea. If it's a suuuper health-conscious friend, you can bring them oatmeal or a protein bar. Obviouslyyy this is a no brainer. Usually flowers are a little pricey, so it's definitely something that I personally can't do for everyone, but I love to surprise a few gals with a small arrangement or even a single stem as a special treat! I mean, who doesn't want to get flowers on Valentine's Day. I love getting flowers any time of the year, but they're extra special for Valentine's, and they're just as special whether they're from a love interest or your gal pal! 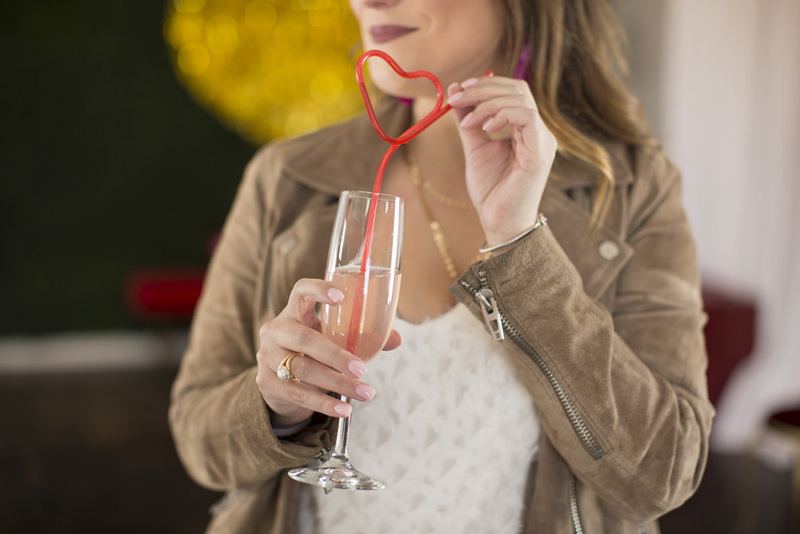 Those are just a few fun ways to celebrate each other, so I hope they got the Valentine's Day juices flowing and encouraged you to celebrate your friends for Valentine's Day! Thank you to Gold Dust Vintage Rentals for their studio space.